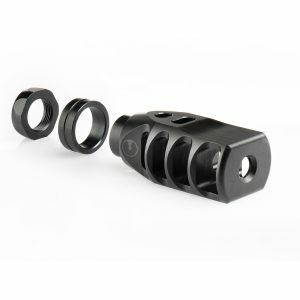 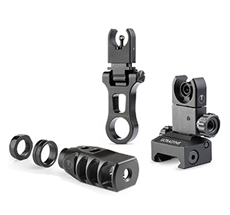 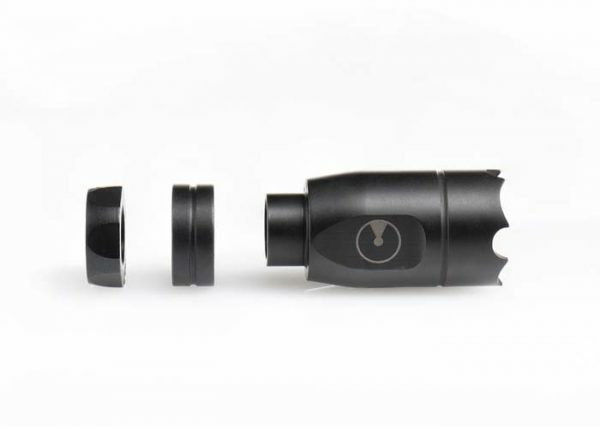 ATHENA allows a shooter to inexpensively upgrade their rifle to the Dynamount Sighting System. Muzzle rise has been optimized as well, with gas vented at an angle then forward. 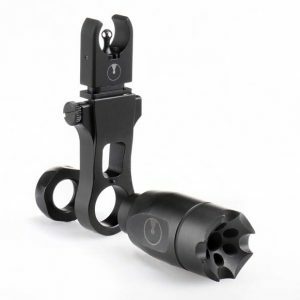 This sends a lower percent of sound back towards the shooter, optimizing sonic performance over recoil. 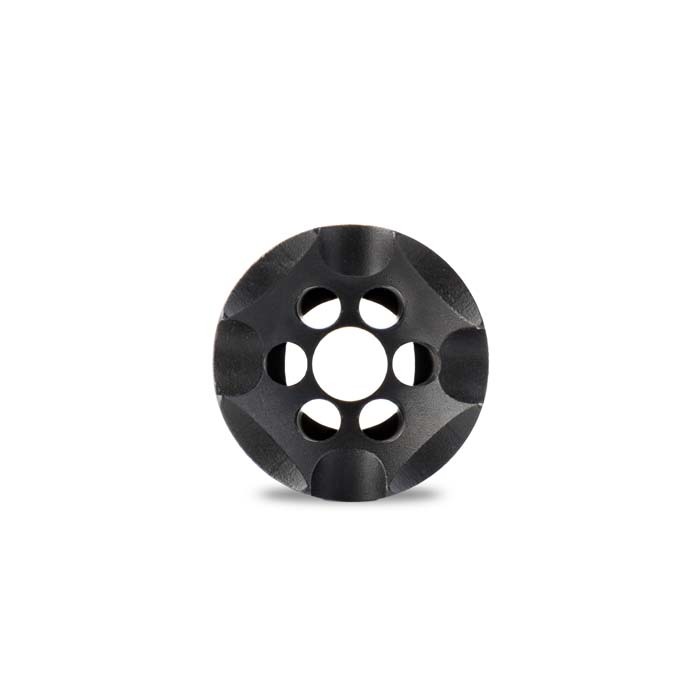 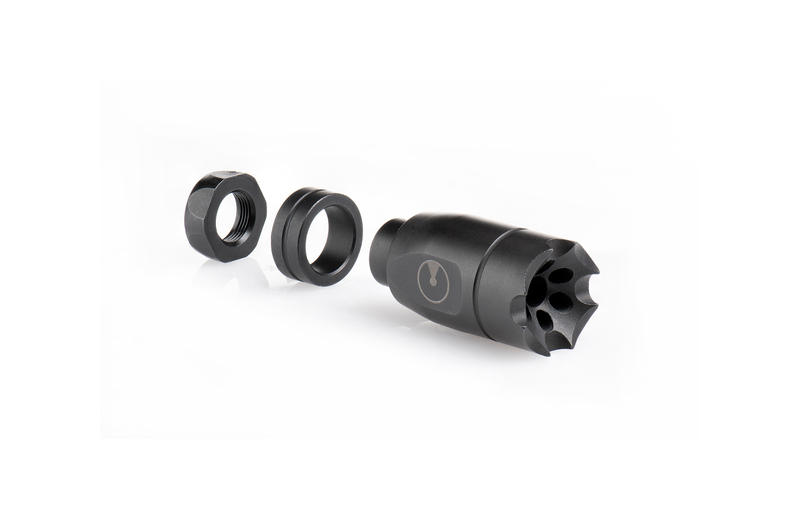 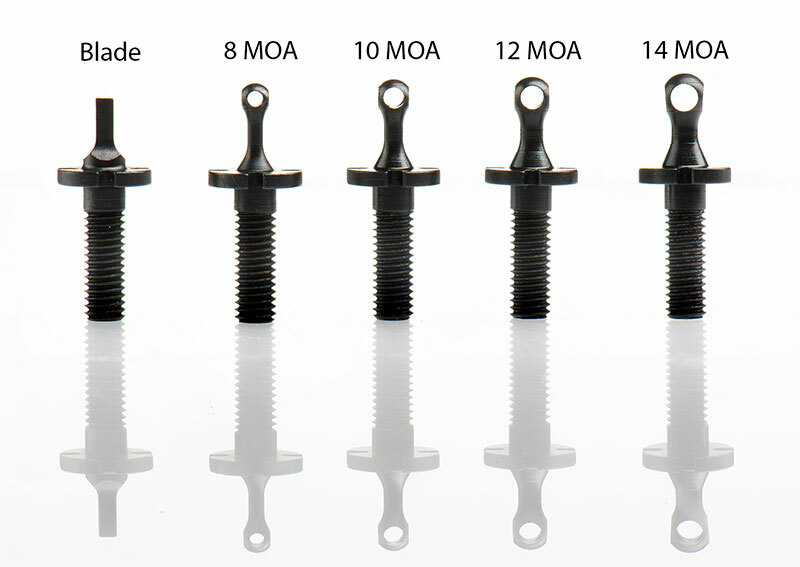 Like all Ultradyne muzzle devices, a timing nut is included for easy installation. 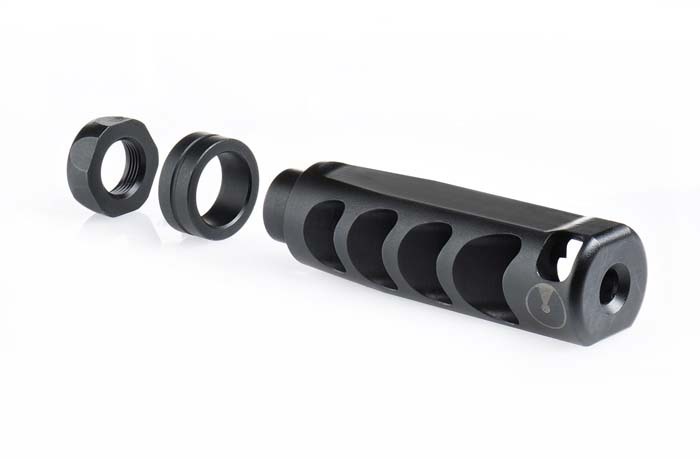 Available in .223 | 5.56 and .308 | 7.62. Forward-directed signature for greater shooter comfort. 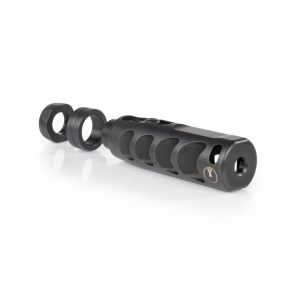 416 Stainless Steel with ultra-rugged salt bath nitride finish. 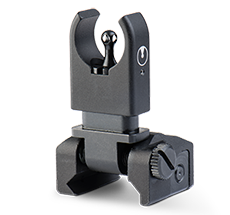 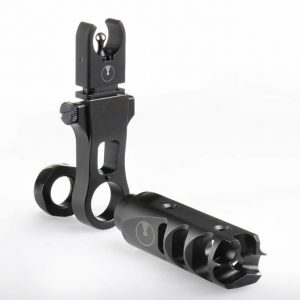 Barrel mounted sight option eliminates sight deflection associated with handguard mounting.